This website is intended to introduce a security agency which is unique and ever evolving for contemporary environment. Its symbolic of a well knit team, where each member from the team SAI only exists for the customer. It offers personalised and tailormade services to suit organisational and individual requirements. To be the most customer-centric company in the world, admired for its people, partnership and performance. Please provide a Mission Statement for this area. A dynamic security agency, where appropriate and focussed training and selection precedes deploymeny of the Guards on site. The choice of Guards is dictated by their integrity component, demeanour and communication skills. It is ensured that the morale remains high and they are committed to the task. The customer service is consistent, responsive and respectful. At no stage the respect and interest of the clients is sacrificed. The guards are trained and deployed, only after adequate and appropriate training . The Managing Director has had the experience of training foreign contingents for much more challenging tasks. His expertise in the Army was exploited for training of military and police personnel, who performed exacting duties in high intensity conflicts and environments. The organisation is ever striving for improvements. We have near 100% satisfaction levels from the clients. We provide complete security solutions. A domestic robot, is an autonomous which is normally used for assistance in getting the household chores done in a convenient manner. Thus far, there are only a few limited models, but because of level of convenience these appliances offer, it is being predicted by speculators, such as Bill Gates, that they could become more common in very near future.Many domestic robots are used for basic household chores. Others are educational or entertainment robots, such as the HERO line of the 1980s. 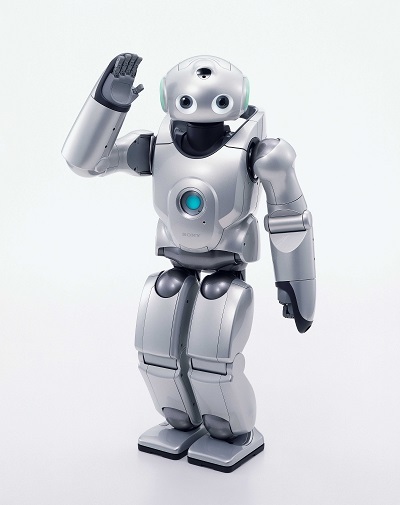 While most domestic robots are simplistic, some are connected to WiFi home networks or smart environments and are autonomous to a high degree. He commanded the premier ‘counter insurgency school’ of Indian Army which has international patronage. has with distinction commanded a training establishment where training is imparted to the youth when they join the army to turn them into professional soldiers. A talented and multi-faceted security expert runs a very successful company that provides security to various establishments and corporate in Jharkhand. He has been associated with a social entrepreneurship initiative in imparting security training to the youth in Chhattisgarh. He is a post graduate in Defense studies & management. He also holds an MPhil degree in Defense and management studies and an MBA. Done PDP from IIM-a, PGDM (NIIT) with distinction. He has been associated with educational institution and has made significant contribution to them. In addition to being a director of the company he is also designated as the lead trainer for security guards and supervisors. Mrs. SAKSHI ROY is the director of SAI. She has been with the company for last 5 years. Her responsibilities include Finance, service, risk management, corporate communications, branding and strategic solutions, administration, liaising with government and corporate bodies. Mrs. Roy is B.TECH & MBA from one of the prestigious institutes of India. She has also travelled to Neighboring countries. With her focused leadership in invigorating staff performance recognizing teams and developing talent. A capable and committed leader.